Sophia’s Visual Communications Pathway helps you to gain mastery of theessentials of communicating visually and apply this mastery in context. Inthis Pathway, you will explore visual theories and learn about the keyelements and principles of visual design, with a focus on color, typography,layout, and design analysis. This Pathway emphasizes real world context andthe role that visual communications play in today’s society. I enjoyed the class and the format. 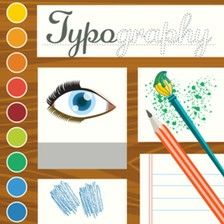 I recommend taking this class before taking any type of hands-on graphic design class. The section on how to do a critique with the examples shown was very helpful.